Prof. Dr. Paul M. Selzer studied Biology, Parasitology, and Biochemistry at the University of Tübingen, Germany, where he also received his PhD in Biochemistry on subjects related to the protozoan parasite Trypanosoma brucei. As a post-doctoral fellow he spent three years in the parasitology and tropical disease laboratory of Prof. James H. McKerrow at the University of California, San Francisco (UCSF). Within the Molecular Design Institute at UCSF Dr. Selzer was introduced to modern drug discovery approaches and technologies. He broadened his scientific and business knowledge as a researcher within diverse pharmaceutical companies including Boehringer Mannheim GmbH, Germany, SmithKline Beecham p.l.c., UK, Hoechst Roussel Vet GmbH, Germany, and finally Intervet Innovation GmbH, Germany, a part of Intervet/ Schering-Plough Animal Health. Dr. Selzer is also a teacher in Biochemistry, Bioinformatics, and Chemoinformatics at the University of Tübingen in the Department of Biochemistry, which awarded him the title of Professor for his achievements in teaching and research. In 2008, he was also awarded an Honorary Professorship in the Department of Infection and Immunity at the University of Glasgow. 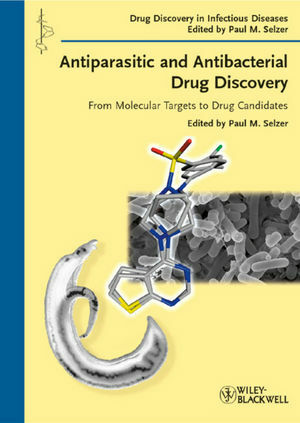 2 Anthelmintic resistance as a guide to the discovery of new drugs?